What is the Women's Vision Circle? Join our thriving FACEBOOK GROUP! Tahnee is a Master Wordsmith. 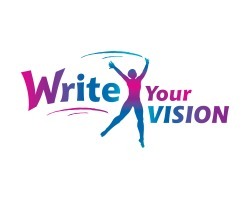 She can take your vision and put it instantly into compelling, powerful, memorable language. that present your message to the world. The documents that SUM UP the heart, vision, and mission of your organisation. that convey the ESSENCE of your organisation. "Tahnee Woolf is one very talented individual. quickly boiling it down to its essence and putting it into powerful catchy memorable language. This is invaluable for any company or organisation that wants to get its message out there. If you have ever tried to do it yourself you will know how much you need Tahnee." "Tahnee is a gift !... Each time I use her writing services I am blown away with her ability to crunch down my waffle and confusion into powerful, emotive, and concise messages. Tahnee is a unique wordsmith, she actually makes me fall in love with my own message…unbelievable! Need Your Words Super Fast? Tahnee's turnaround times are unbelievable! She will capture the essence of your vision in the time it takes you to eat lunch! Preamble to the Australian Constitution - a lyrical anthem written for the Australian newspapers in 1999. XL Entrepreneurs Declaration of Interdependance - written in 2009 for XL Nation, an international organisation of social entrepreneurs, and now read out at every single XL Circle meeting around the world. "Whilst Tahnee's skill with words derives perhaps from dimensions beyond our own, they seep deep into the flesh of our hearts and the aspirations of our minds, inspiring the visions of all who hear them." Need Your Words Super Sharp? Tahnee has the ability to take in large amounts of complex information and boil them down to their purest essence. She can capture the BIG PICTURE with pizzazz. She has full throttle immediate access to the most powerful language imaginable. She will turn your sprawling vision into a golden bullet, piercing the heart and mind of all who hear it. "I asked Tahnee to improve a crucial Biography I had written for my website, and within a few hours she returned the piece to me, magically transformed! I highly recommend her for anyone who wants their business portrayed with snappy, impressive writing." Tahnee can work with you face to face, over the phone or via Sykpe. Simply tell her about your vision for your company or your organisation and she will capture the heart of it for you super fast with compelling, memorable words that zing. "Tahnee is a talented writer with professional qualifications, accredited experience, and an extraordinary command of language. Invest some time with this amazing lady and see how 1 + 1 equals much much more. Tahnee is a transformation leader and the ultimate team player."